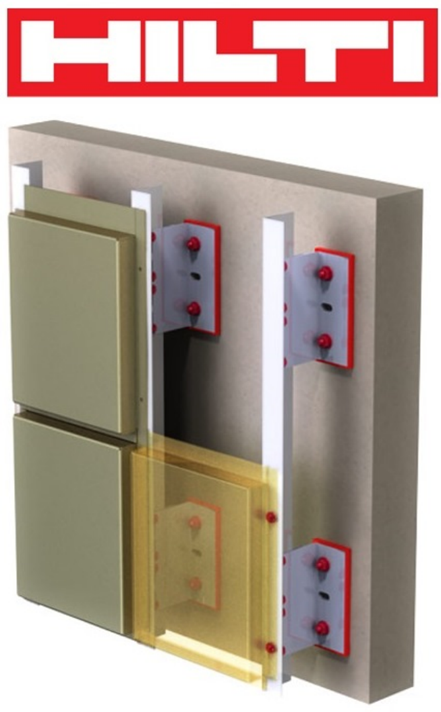 We are pleased to announce that Eltherington has successfully passed CWCT tests with an oversized cladding panels. Wind Resistance (Serviceability & Safety) Impact resistance. This is one of the reasons why they have now been adopted by National Building Specification (NBS) and National House Building Council (NHBC). 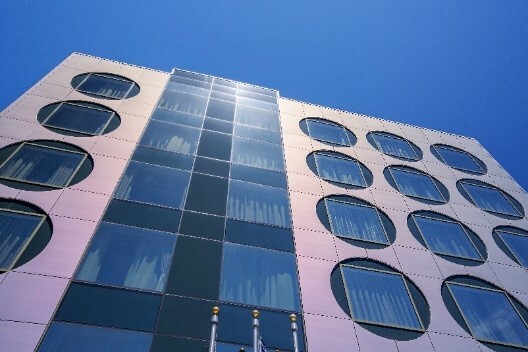 It is always worth considering an independent CWCT test on your façade design and our specialist façade team can offer guidance on when this may be required. 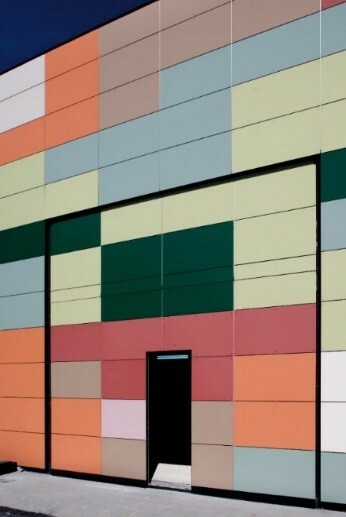 Whether it’s large cladding panels, a special finish or a striking design you’re looking for, we can help. We have been manufacturing high quality façade solutions for decades. 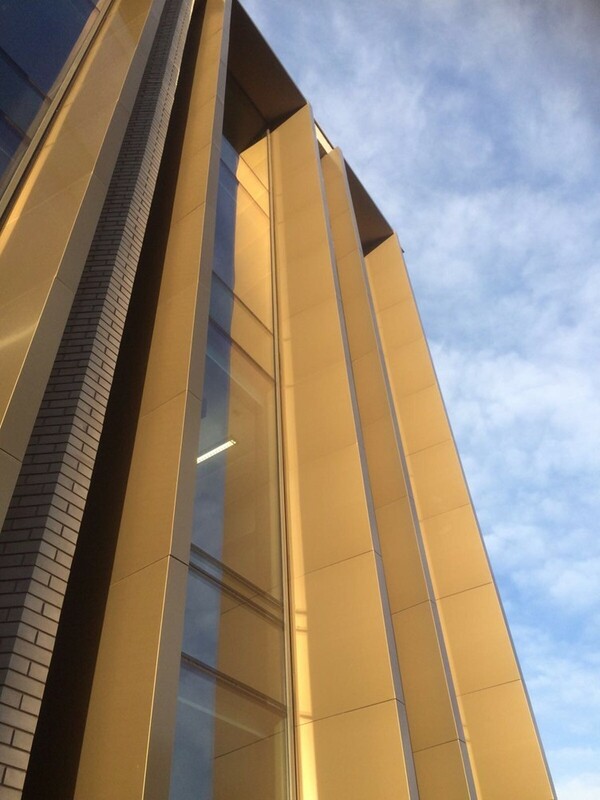 Shown here are our ACM (aluminium composite material) window pods at Birmingham University. We fabricated these to airplane wing design with a brass brushed finish. enhanced durability and ease of maintenance. 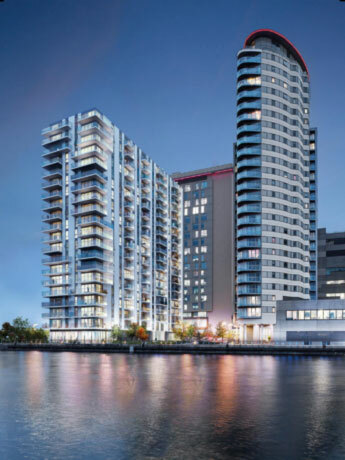 Eltherington is an official supplier of the Hilti Eurofox substructure system for architectural facades. suitable for small and large rainscreen façade projects.